The Pound Sterling is the currency of the United Kingdom of Great Britain and Northern Ireland since the Anglo-Saxon era. 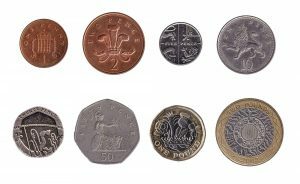 The name pound derives from Latin pondus, meaning ‘weight’. 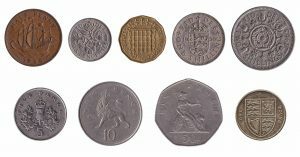 The Old English pound was a unit of weight, initially equated with the Ancient Roman weight called libra, which explains why the monetary sign in English is still ‘£’, the letter ‘L’ as the initial of libra. We exchange both British Pound coins and banknotes, and we also accept withdrawn Pound Sterling banknotes. Our online exchange service is quick, easy, secure and free of charge.